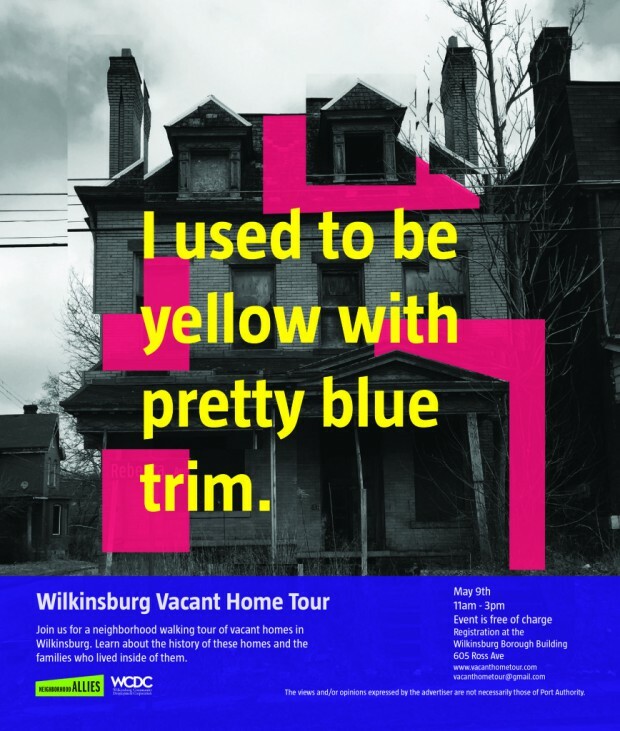 One of the most popular posts here on the blog last spring was about the Wilkinsburg Vacant Home Tour. Blogger Ray Bowman wrote a recap of his visit to the tour here. I was able to stop by and check out a few of the houses featured on the tour, I was on the fence about the idea of bringing a bunch of people to see vacant homes in Wilkinsburg. I was impressed with many of the efforts behind this event and the amount of history that was shared on each of the properties. 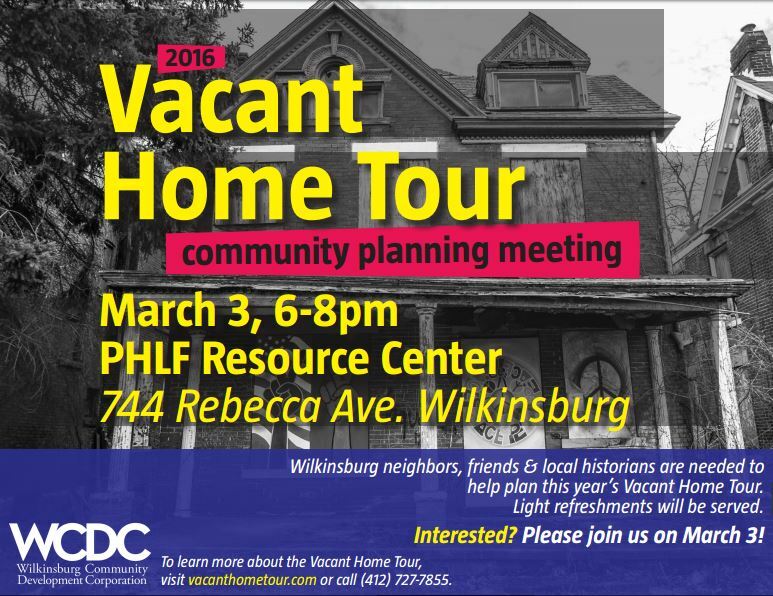 The planning meeting for the 2016 Wilkinsburg Vacant Home Tour is on Thursday, March 3rd from 6-8pm at the PHLF Resource Center located at 744 Rebecca Avenue in Wilkinsburg. Pittsburgh Historic Preservation MeetUp Group – all are welcome to submit historic preservatiAon related events to this calendar. March 2nd – Public Hearing on historic designation for the Albright Church building in Bloomfield. Sign the petition supporting historic designation for the Albright Church Building. March 6th – the East Liberty Valley Historical Society lecture: Greenlawn: The Long-Gone Home of H.J. Heinz.